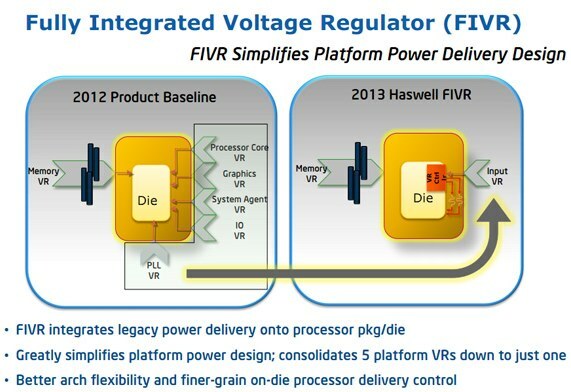 When Intel launched their Haswell processors, they featured the first fully integrated voltage regulation unit or FIVR in short inside these chips. While the technology was great, it had some issues and reports from last year revealed that Intel will be ditching the use of FIVR units inside they next generation Skylake processors and also the Kaby Lake processors that launch in 2016. The main purpose of a Voltage Regulator is to supply voltage to the processor and to maintain/stabilize the demands of the processors. These also serve the purpose of triggering the different processor states such as going from idle to full clock mode (Boost mode). The time it takes to transition from different states is widely affected by enhanced voltage regulators and the less time it takes, the more efficiently the processors work. Traditionally, or should we say pre-Haswell chips were supplied voltage through VRs integrated on the boards themselves so it was usually the board quality that defined how efficiently the processors performed. 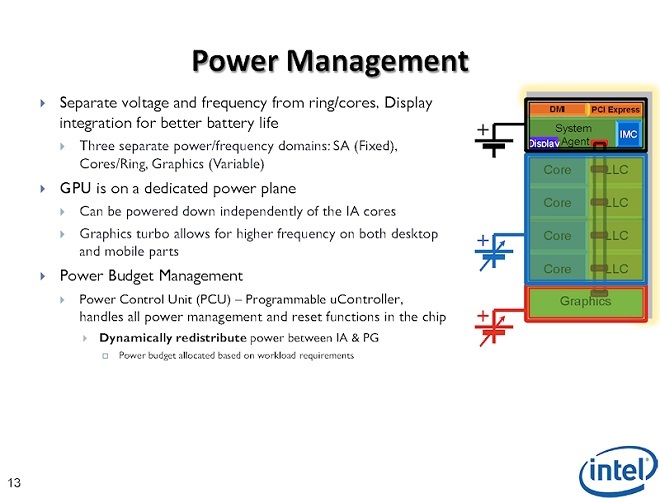 Haswell delivered some incremental updates with a totally revised look at voltage and power supply needs. 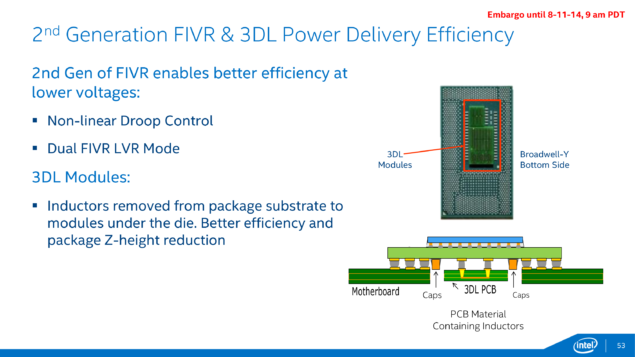 Intel moved to FIVR which was a voltage regulation module featured on the chip itself that served one task, to control the Vcore, vgpu, VCCSA, VCCIO and PLL. With FIVR, Intel got more control over the voltage block of their processors but regardless of the advantages, the FIVR block resulted in higher heat output which was featured on an already dense 22nm processor. Due to heat and also a modest TIM, Haswell series were hit with high temperatures. The issue was resolved to some extend with the Devil’s Canyon processors which featured the NGPTIM. The latest reports on FIVR comes from Hardwareluxx who have said that while Intel will do away FIVR with Skylake and Kaby Lake processors, it might possibly make a return with Ice Lake processors which are the successor to the Kaby Lake processors. This is the first time we have heard about Ice Lake and the only 10nm processors that were supposed to launch after Kaby Lake were Cannonlake. So this could mean that Ice Lake will be a node transition to 10nm while Cannonlake will be a full fledged new architecture or Ice Lake is just a new name for Cannonlake. Nevertheless, the exclusion of FIVR from Skylake and Kaby Lake will mean that they aren’t going to be as hot as Haswell but it does mean that voltage regulation will be back on 100-series boards. We cannot confirm whether this news is legit since Ice Lake is a codename we haven’t hear of before but we will keep on digging to find more information.